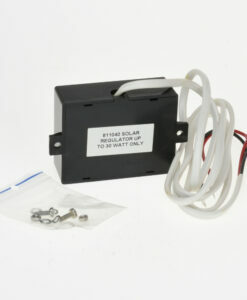 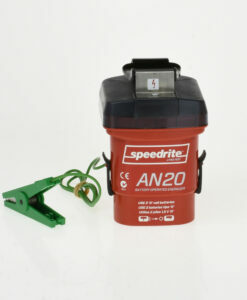 12 V (deep cycle, marine type) battery*. 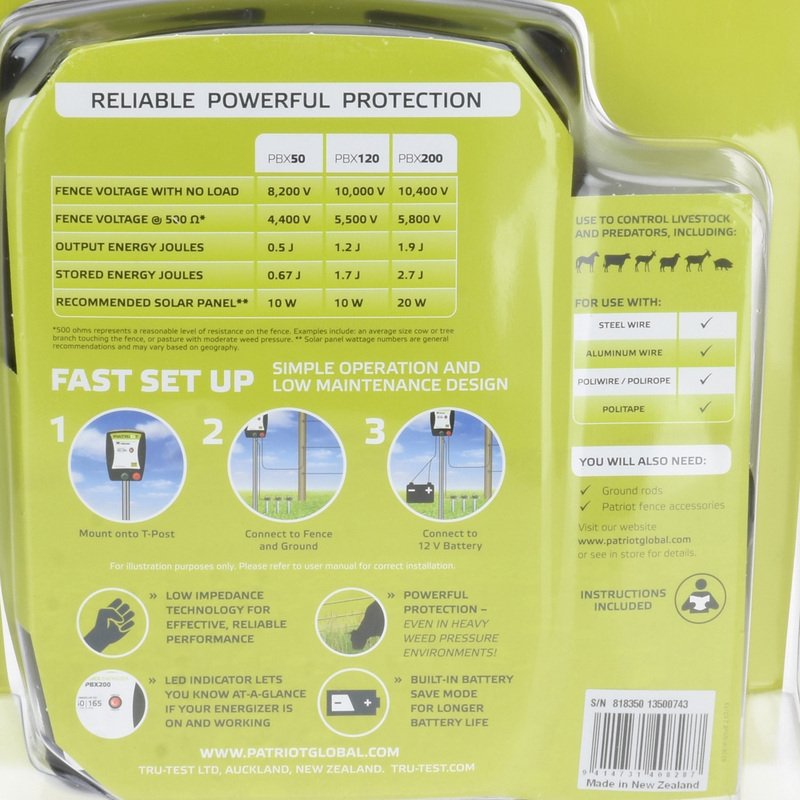 Battery saving mode maximizes battery life. 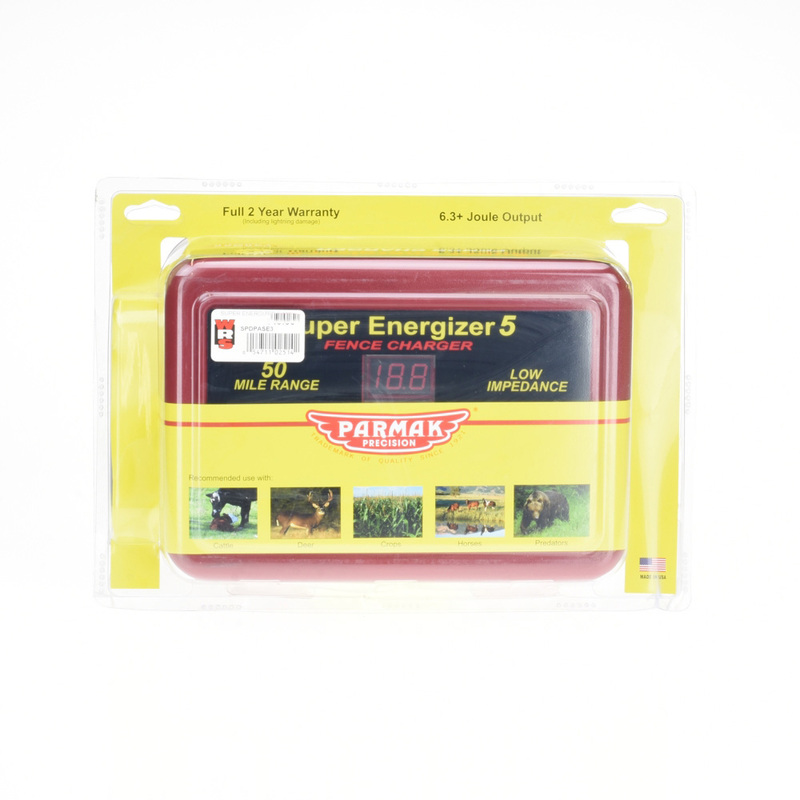 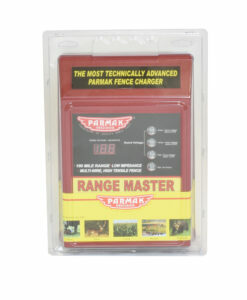 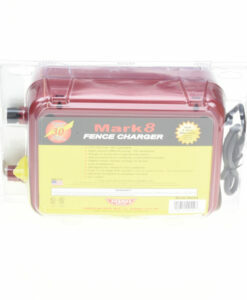 Battery and fence lead sets included. 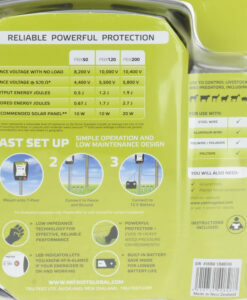 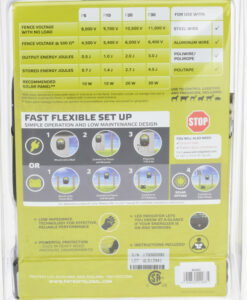 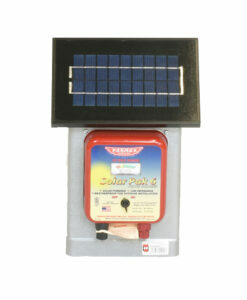 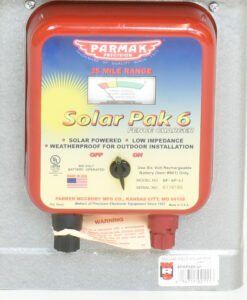 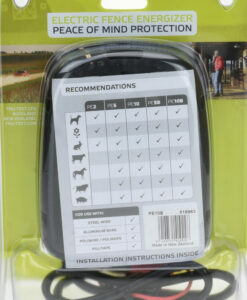 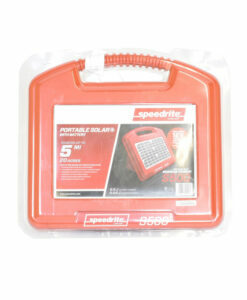 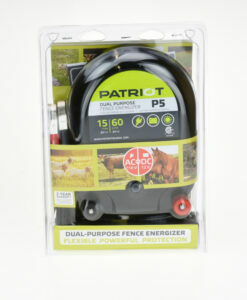 Solar panel* charges a 12 V battery* to power the energizer and fence line. 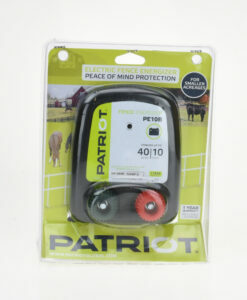 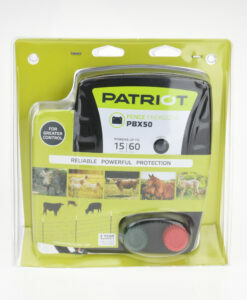 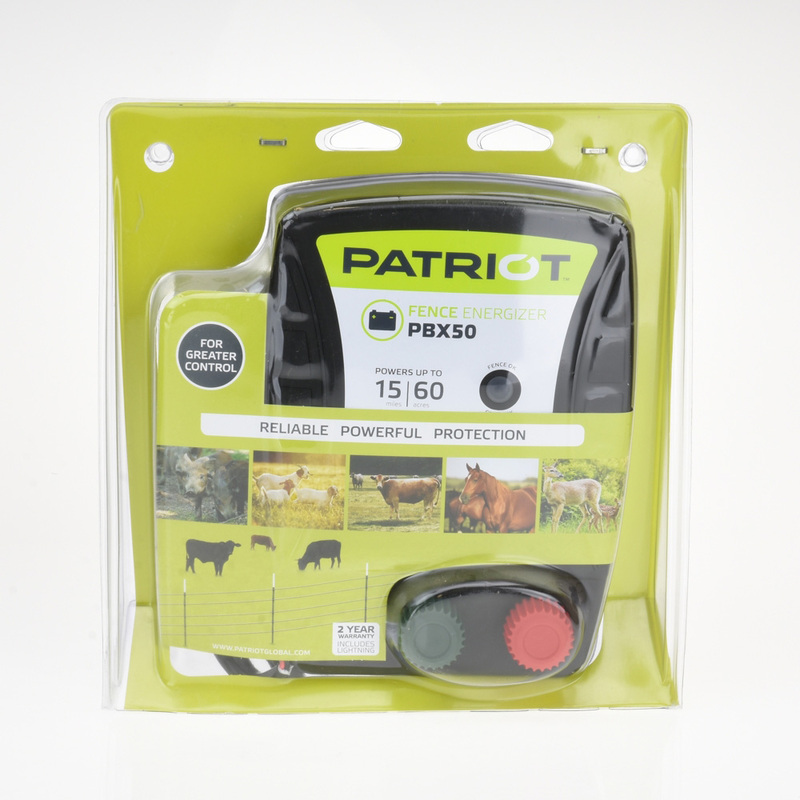 Ideal for remote areas where AC (110 V) power is not available.